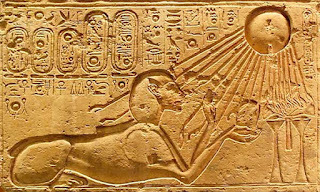 Below is an article on the ancient practice of sun gazing. It was written by Andreas Mortiz. You can find him on facebook here. I found this article to be fascinating. I have begun doing this when I can and I do feel a difference in my general well-being. *But please take caution. I recommend you do more research on the practice if you are considering to do this. The sun can be damaging as we all know. *Only sungaze from sunrise to one hour after sunrise and from one hour before sunset to sunset. 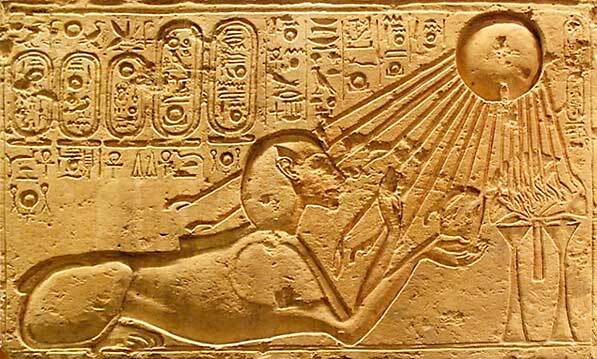 Sun energy is the source that powers the brain. Sunlight enters and leaves the human body most easily and directly through the human eye, provided it isn’t filtered out by colored lenses. The eyes are the portals through which sunlight enters the body. Scientists refer to the pineal gland as the ‘atrophied third eye’. 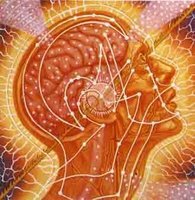 Indeed, it, along with the pituitary, is the third eye chakra or energy center, better referred to as dormant rather than atrophied. According to Max Heindel’s Rosicrucian writings, in the distant past, man was in touch with the inner/outer worlds through an activated pineal and pituitary gland. Considered the most powerful and highest source of ethereal energy available to humans, the third eye has always been important in initiating psychic powers (clairvoyance and seeing auras etc). Life giving, golden rayed, the eternal watchful eye, called ‘the beginning’ and ‘the ultimate truth’ by wisdom, The Sun is also the earliest acknowledged doctor of mankind. We have turned to the sun for healing since our very beginnings. Reno becomes the center of the universe Oct. 4-6 for the 4th Annual Conference on the Spiritual State of the World. A distinguished group of speakers will offer perspectives, insight, and predictions on what lies ahead for mankind. The host of this year’s event, COSOLARGY® International, is a non-profit, non-exclusionary spiritual and educational institution based in Reno, Nevada, since 1972. The full day conference on Oct. 5 will be held at the University of Nevada in the Joe Crowley Student Union. I have one question. What if i stop sungazing after first 3 months.... and can i later continue? Thanks to Dr Williams I am so happy today, my wife have been suffering from pineal cyst for the past 8 years now, and i have spent a lot on western drugs which has all proved abortive, i have tried all means in life to get my wife out of this , but there was no answer until i decided to try herbal solution and i found Dr Williams online and i contacted him and after she took his medication as instructed, my wife is now completely cure from pinela cyst within those week of usage, i am so much happy, thanks to Dr Williams for helping me get my wife life back again without any form of crisis, i promise to tell your name and good deeds to the whole world,if you have someone with pineal cyst you can email him on drwilliams098675@gmail.com for more information .